Gary’s success can be attributed to his innovative work in re-engineering major healthcare plans based on value, transparency and quality of care. Gary’s work has pioneered what’s come to be known as the ‘next generation of benefits consulting’ which is focused on bringing consumerism back to the health insurance market. While referring to Gary Becker as a wizard might be a slight overstatement, he’s certainly much more than an employee benefits expert. This lands him somewhere in-between, at magician-like status, which is certainly fitting in the way that he’s able to locate and save his clients large sums of capital that would’ve become wasted or unused healthcare budget. From the boardroom to center stage, Gary Becker continues to engage, educate and effectively improve the way employers, associates and students approach the healthcare supply chain. As an author, Gary puts many of his most effective practices into print. Not afraid to reveal his tricks of the trade, Gary feels sharing his innovations will continue to drive the next generation of employee benefit advisors. 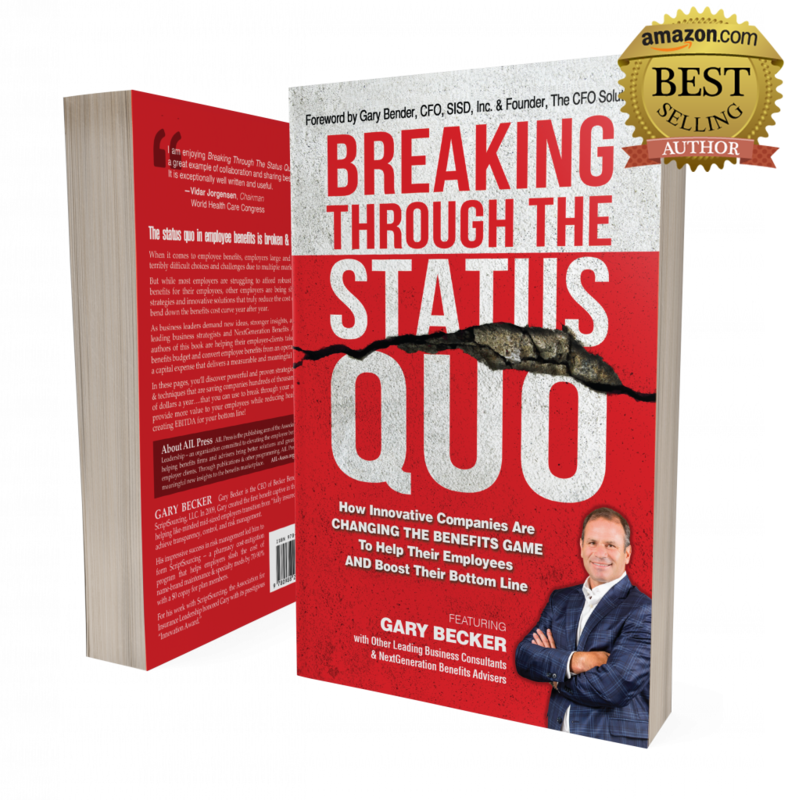 In this informative book, Gary details how to bring consumerism back into insurance by showing employers alternative options to accepting drastic renewal increases for low quality insurance.